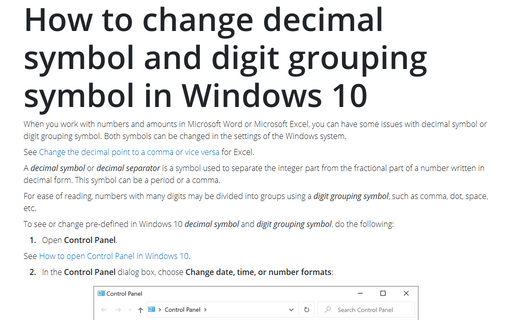 When you work with numbers and amounts in Microsoft Word or Microsoft Excel, you can have some issues with decimal symbol or digit grouping symbol. 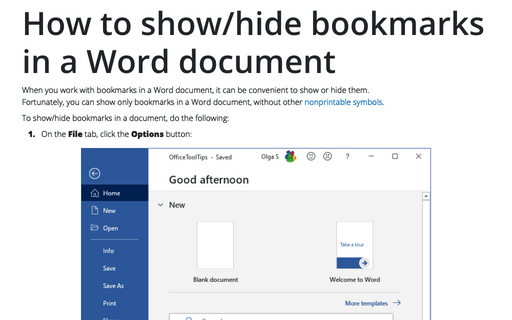 Both symbols can be changed in the settings of the Windows system. 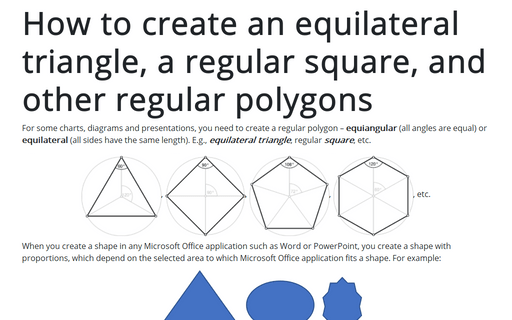 For some charts, diagrams and presentations, you need to create a regular polygon – equiangular (all angles are equal) or equilateral (all sides have the same length). E.g., equilateral triangle, regular square, etc. 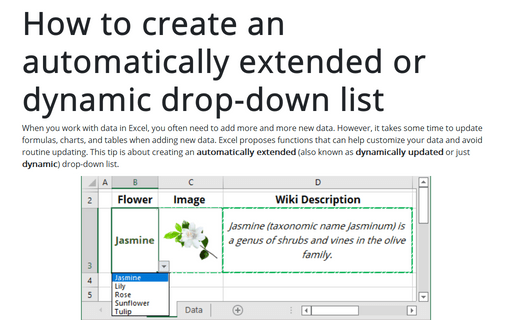 When you work with data in Excel, often you need to add more and more of new data. However, it takes some time to update formulas, charts, tables, when you add new data. 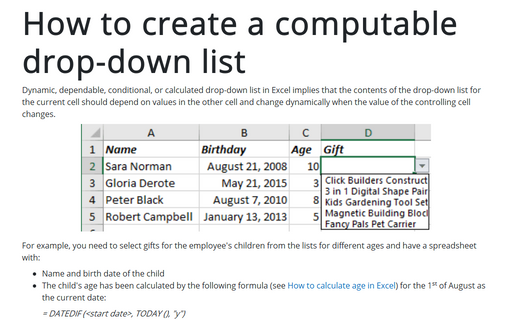 Excel proposes functions that can help to customize your data and avoid routine updating. 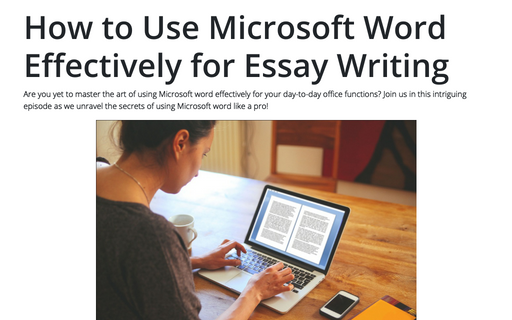 This tip is about creating an automatically extended (also known as dynamically updated or just dynamic) drop-down lists. When you fill data in some spreadsheet, it can be necessary to show different drop-down lists that depend on some filled or calculated values. 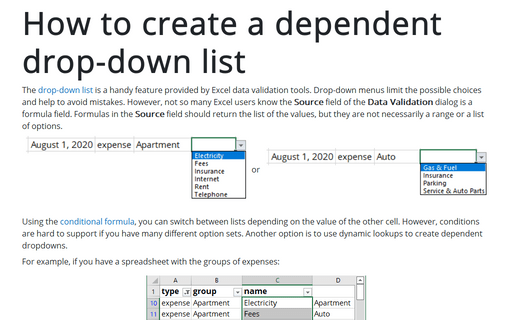 When you fill data in some spreadsheet, it can be necessary to create dependent drop-down lists. 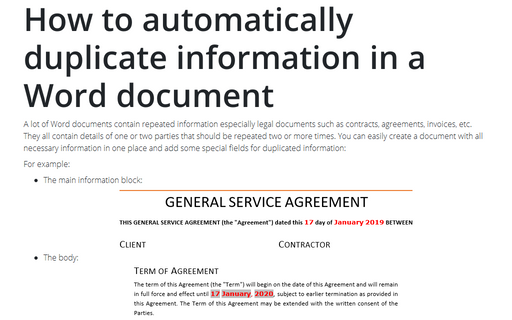 The organization of these drop-down lists can be different – they can be filled step-by-step from left to right in the same row (like in the example below), cascading or even computed (see How to create a computable drop-down list). It is polite to reply to every received message, even if you don’t have a time to process the message. 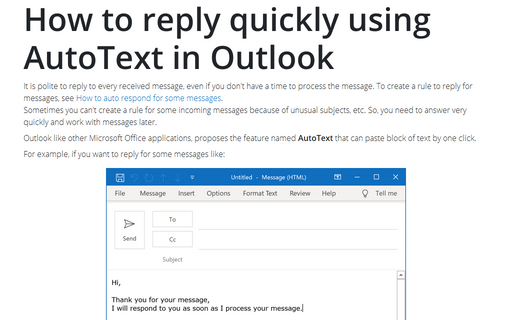 To create a rule to reply for messages, see How to auto respond for some messages. Sometimes you can’t create a rule for some incoming messages because of unusual subjects, etc. 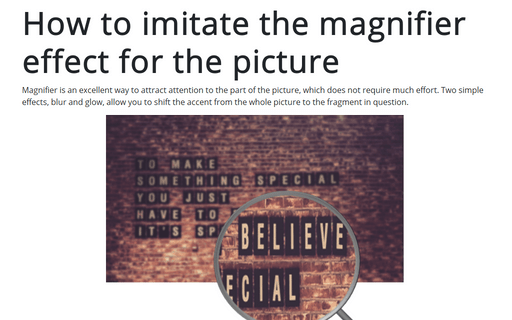 So, you need to answer very quickly and work with messages later. 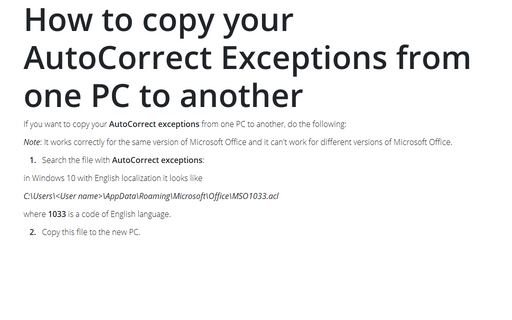 When you did a wrong operation in Microsoft Office, you can use UnDo to cancel previous operation and revert some of previous actions. Unfortunately, there are operations that can’t be reverted simply. 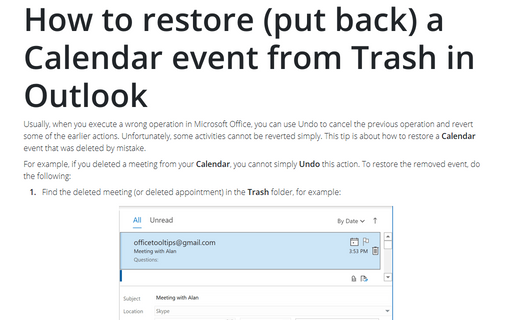 This tip is about how to restore a Calendar event that was deleted by mistake. 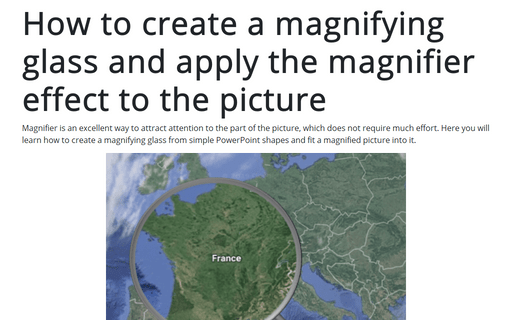 Magnifier is an excellent way to attract attention to the part of the picture, which does not require much effort. 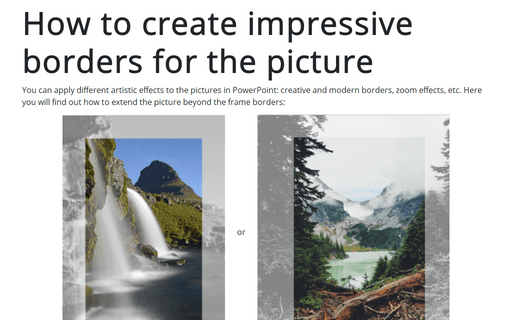 Two simple effects blur and glow allow you to shift the accent from the whole picture to the fragment in question.